Just thought I'd share. Thanks. 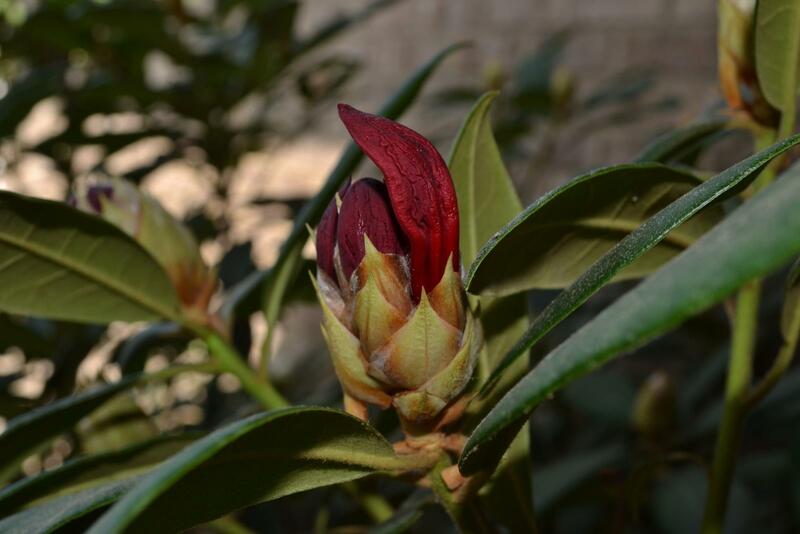 I planted my first rhododendron a few days ago, when I finally found a variety that can handle the summer dry heat here. I planted a Minnetonka that has been hybridised. It says it can take up to 90F while blooming. Having created micro climates, I put it alongside the waterfall in shade most of the day and a bit of sun in the early morning and late afternoon. It has a good peat and bark soil that drains well, and it is cooler by the water. 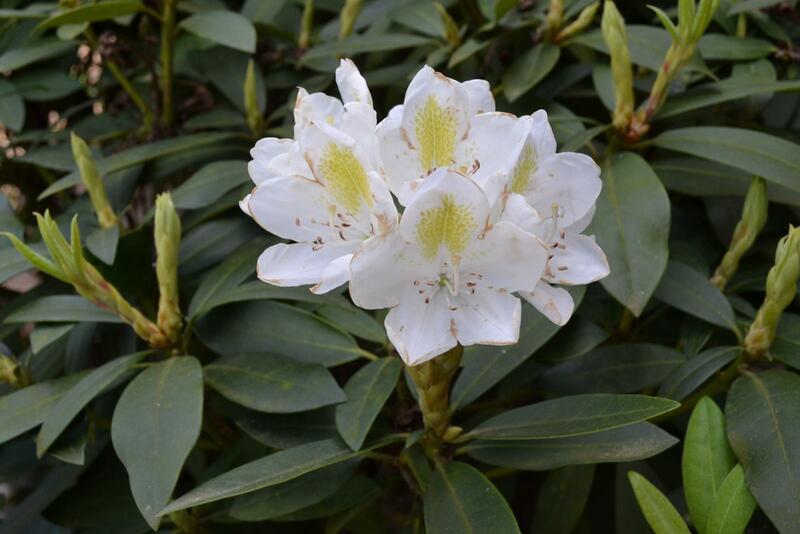 I have my fingers crossed as I love the rhododendrons, and have now done well with Azaleas for many years now. I also found a pollywog in the pond today. 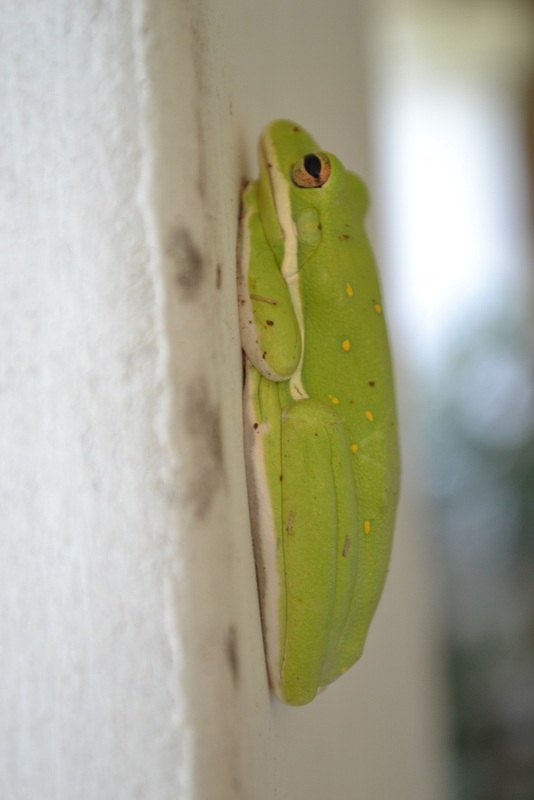 Its been too many years since we have seen the tree frogs in their previous numbers, so one more is a happy finding. I really miss the toads, but I am afraid they have now had all their routes to my house destroyed now. Do you find them to be reasonably hardy? Edited by Skywatcher, 13 May 2018 - 06:48 PM. Thanks, Sky. It gets pretty hot here to. I had another planted in this same spot but it got a little too much sun and died. the others seem to be going pretty strong. I've had the red one for about 10 years now and the white ones for about 5 or 6. They aren't found naturally is this exact location but just about 30 miles due east of here they can be found quite frequently. I hope yours does well! They are a really nice woodland plant. I do miss the rhodies of the PNW (where I grew up). As a youth my parents ran a small nursery that specialized in rhododendrons, back in the Willamette valley. Only a few very hearty variety will grow where I live now, and only then with expert care. Even then, only close to coast where the extremes of winter are mellowed a little by the proximity to the ocean. IIRC there are not any varieties native to Alaska. I find the hardiness of rhododendrons to be eh a little in the middle. They are not the hardest to cultivate (at least in my location) but they are finicky. This species I planted does grow naturally just east of here in the hills of the Appalachians. Juthro, I could only imagine dusting a few feet of snow off of the rhododendrons where you live. Those that make it must be a very hardy species. Is there any special care that goes in to their winter survivability? We also have quite a few wild azaleas in the are. 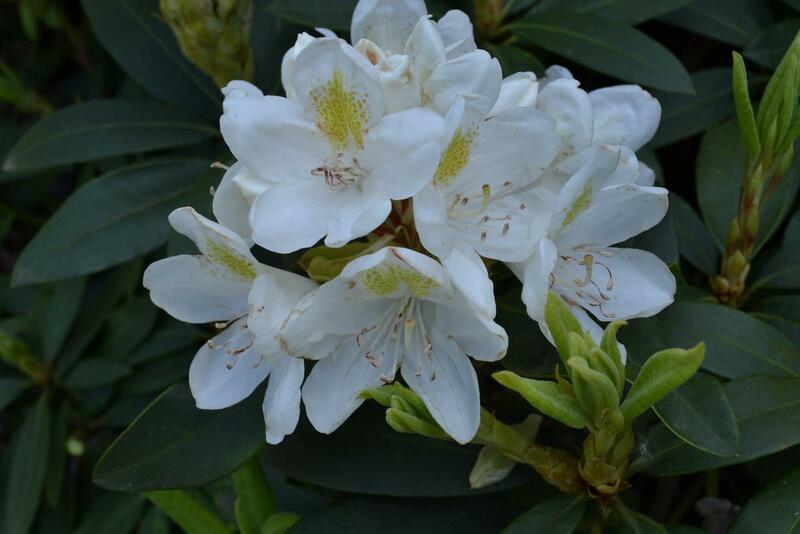 They are in the rhododendron genus. Look very similar except the flowers are much more dainty and their overall stature is much smaller. Same leaf and growth pattern, same flower structure. It's too much of a hat trick for me to try and grow them here, but I have seen them successfully grown in Seward. From what I've been told, mulch, mulch, and more mulch mounded around the heart wood, and a diligent eye to help guard against late snow and frost. As they are most susceptible to damage once they start to come back in the early spring. If your going to get a freeze and have fresh growth you can put row covers over your plants to help keep the cold off, but they are a PITA to work with. Snow is actually your friend here, as it insulates pretty well. 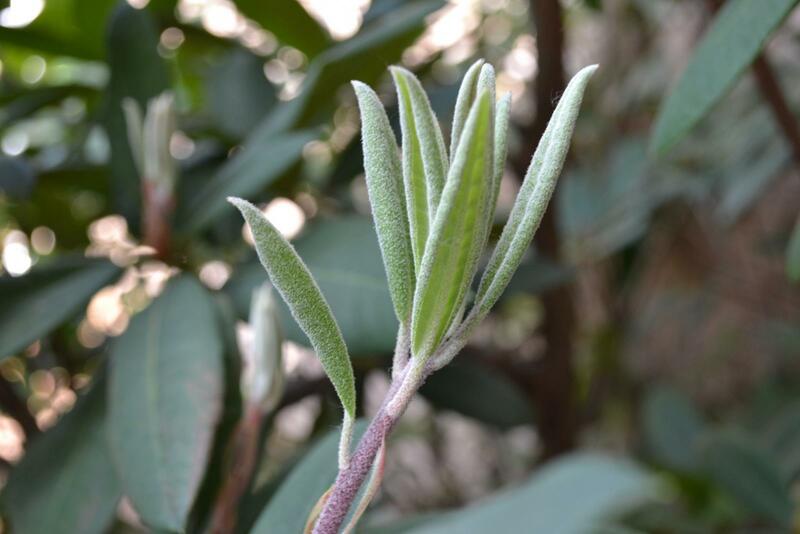 It will protect plants from the more extreme temps of winter when it gets really cold. Our annual average is around 5' of snow, and we usually get a lot of time (months) at or not too far under zero. Though we generally get a week or two (usually in January) where a storm blasts out of the arctic and socks us in at -20 to -30. Damn that's a lot of snow and cold. Burrrrrr! Wow. I have to go to my favorite Colorado spot (Grand Lake) to see snow like that. I was thinking a lot of insulating mulch for the rhododendrons. Spring time can certainly be the most problematic even down here in the south where I live. Every year we have plants budding out and then bam a hard freeze or frost will hit. But yeah, just a blanket or tarp will protect the new growth.